You would think that after Vinitaly things would slow down, and producers would get an opportunity to recover. Unfortunately this isn’t the case, as often they are hosting guests around the timing of the fair, and also getting started on all the business they made (or missed) for the week. I myself gave myself half a day to recover and also get some emails out to producers I had met, before heading south of Veneto through Emilia-Romagna. The region itself is very large, and almost stretches from one coast to the other. It is generally separated into two areas; Emilia which is very flat and hot, and where Lambrusco comes from; and Romagna, closer to the coast and also more mountainous, known for the quality of its sangiovese wines. It is a shame that the region is not better regarded next to its neighbour Tuscany, but the region wasn’t as rich historically and has only been focussing on quality for the past 20-30 years. Not a lot of the wine is exported, but that is changing as quality is improving and there is better understanding about the wines produced from this particular part of Italy. A winery that I was familiar with from back home was Fattoria Zerbina, located in the Marzeno part of the Ravenna DOC. 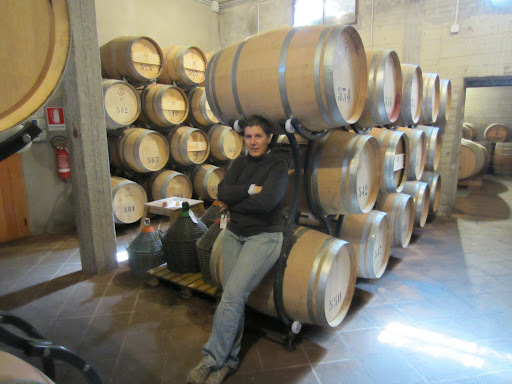 The winery has been run by Cristina Geminiani for over 15 years, and according to her colleagues she has done much to improve the profile of this region. 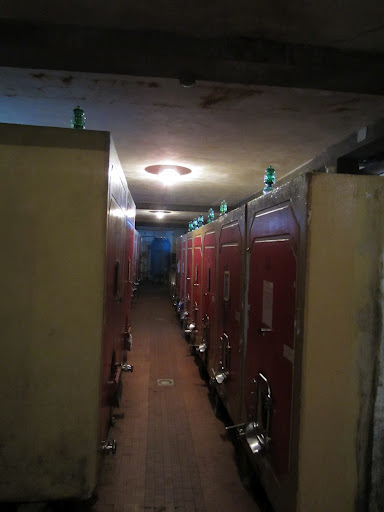 The winery dates back to 1966, when the land the family owned was converted to viticulture by Cristina’s Uncle Vincent. Without experience about grape growing or the region itself, he planted a wide range of grape varieties, and also focused a lot on white wines. When Cristina joined him in 1987, she changed the focus of the vineyards to sangiovese and albana. The quality of the wines began to rapidly improve, particularly since 1992, and she has received much attention from the media. There is still much to be done to enhance the profile of the region, but Cristina is hard at work to fulfil this daunting task. The importer of Fattoria Zerbina (Red + White) put me in contact with Cristina, and I met her during Vinitaly. She very kindly offered to put me up for a night, and thus I arrived the evening before and joined her for a well needed home cooked dinner. She was one of the most gracious and humble hosts I have had on my trip, and made me feel very at home (and slightly embarrassed at her generosity). The following morning she gave me short tour of the vineyards and winery, during which she explained her philosophies and practices. 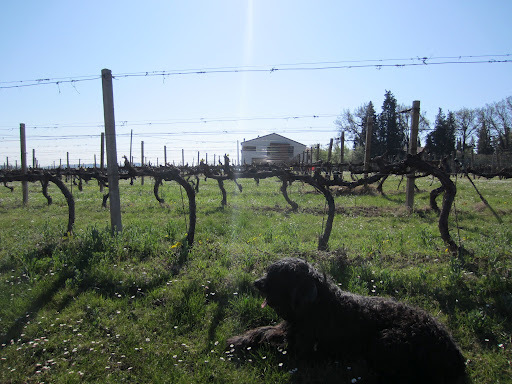 She firmly believes in the potential of the sangiovese grape in region, but understands that adding very small amounts of other varieties can improve the overall structure and depth of a wine. Like many in the industry she has recently pulled back on the amount of oak (particularly new), and has introduced crazy methods like fermenting and macerating in puncheons stood up, with one of the heads taken out. The tasting was enlightening, and you can read the notes here. 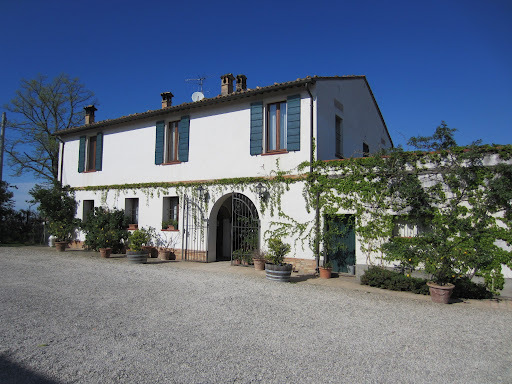 A close friend of Fattoria Zerbina is Drei Dona Tenuta la Palazza, located between Forli, Castrocaro and Predappio. Count Drei Dona didn’t have much of a wine or even an agricultural background, he wasn’t even much of a wine drinker! But as a lawyer he often ate at very good restaurants and hotels, but noticed that there were rarely any wines from Romagna on the lists. Thus he decided to establish a wine business on his family’s property to make premium wines from Romagna, good enough to sit on the best wine lists in Italy and the world. He engaged famed winemaking consultant Maurizio Castelli to advise him, and subsequently planted a mixture of varieties (mostly sangiovese) in his vineyard. Over the past 10 years the winery has rapidly increased its reputation to be one of the most important wineries in the region, with the Pruno Sangiovese di Romagna Superiore Riserva regularly receiving much praise from wine critics. During Vinitaly I had the opportunity to taste some of the wines, and you can read the notes here. Click here to see more photos from Romagna, Italy.